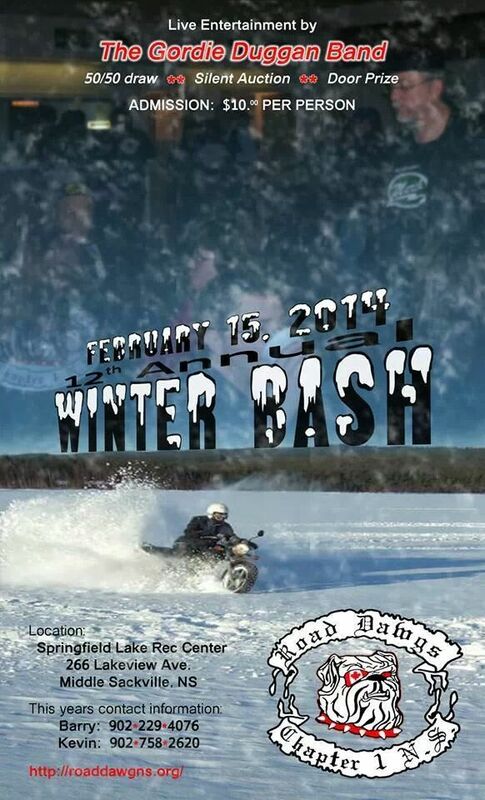 Road Dawgs Winter Bash Feb 15. #Sackville | Sack-Vegas!!!! This looks like a good time will be had. Drop down, check out the auction and tunes and maybe even have a cocktail or two. Bikers are putting it on, so you know it’s gonna rock! Posted by Sacky on February 10, 2014 in Community Events.